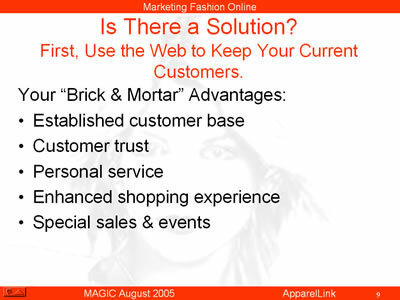 First, Use the Web to Keep Your Current Customers. You do have some advantages that can be extended to the web. You have an established customer base. Your customers trust you and have come to expect a high level of service from you. If you can expand this service by extending that which they have come to expect from you to the web, you will have a chance to retain their loyalty and even strengthen your local customer base.